We know by now that iron deficiency in the body is the most common cause of anaemia in children and adults alike. But there is another nutrient that is important for the body to produce healthy blood. Vitamin B12 is a nutrient that helps the nervous system, blood cells and DNA function optimally. Vitamin B12 is found naturally in a variety of animal products such as beef liver, fish, meat, poultry, eggs and other dairy products. Manufacturers often fortify other food sources such as breakfast cereals, nutritional yeast, or plant-based milk with B12, especially for those following a vegan diet. In pernicious anaemia, the body does not absorb enough vitamin B12 from the digestive tract, resulting in inadequate production of normal red blood cells. Pernicious anaemia occurs when the body lacks the protein needed to absorb the vitamin B12 from the digestive tract. If there is not enough vitamin B12, red blood cells don’t form properly and this causes anaemia. Not only is there a halt in the production of red blood cells, but a lack of vitamin B12 can also cause the existing blood cells to be destroyed more quickly. Pernicious anaemia is so named because it is a serious illness that was previously incurable (“pernicious” means destructive or fatal). Nowadays it can be very effectively treated by correcting vitamin B12 deficiency in the body. Do I have a vitamin B12 deficiency? 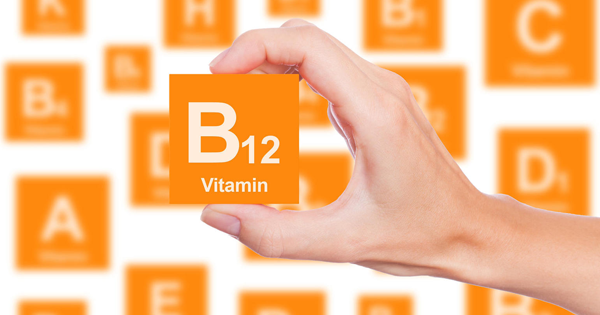 You can properly diagnose or rule out a vitamin B12 deficiency through blood tests. While such a deficiency can easily be corrected, it’s important that it is correctly diagnosed. Vitamin B12 deficiency can be treated with injection or tablets. Injections are the first port of call as these are more quickly absorbed than tablets. After that, you might be required to take tablets between meals, or further injections on a regular basis. Adjustments to your diet may also be able to correct vitamin B12 deficiency. You can include sources such as meat, fish, eggs and dairy products in your diet to boost your intake. Health Staff (Pty) Ltd is a Medical Recruitment Agency situated in Cape Town, specialising in Locum Job Opportunities. Locum Doctor Jobs across South Africa. Heath Staff provides a recruitment service for Locum Medical Staff in all specialities and grades across South Africa, specialising in locum jobs opportunities. Register for Locum Job Opportunities in South Africa!